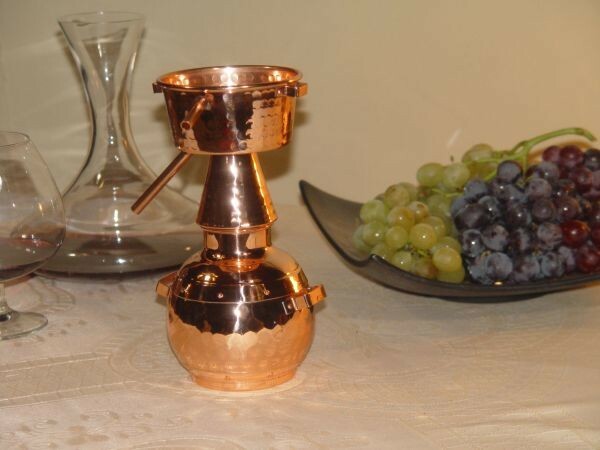 Lovely, very decorative alquitara still for lovers of original copper decoration. Ideal for collectors and as a souvenir. 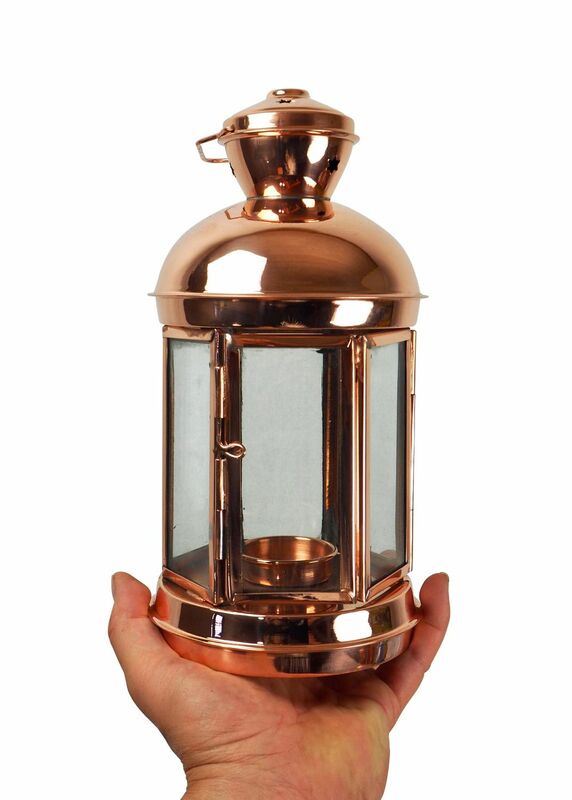 This decor still consists of a copper boiler and a top-mounted condenser with a water container, just like the large original models. A simple and perfectly functioning concept which was brought to Europe by the Arabs a very long time ago. 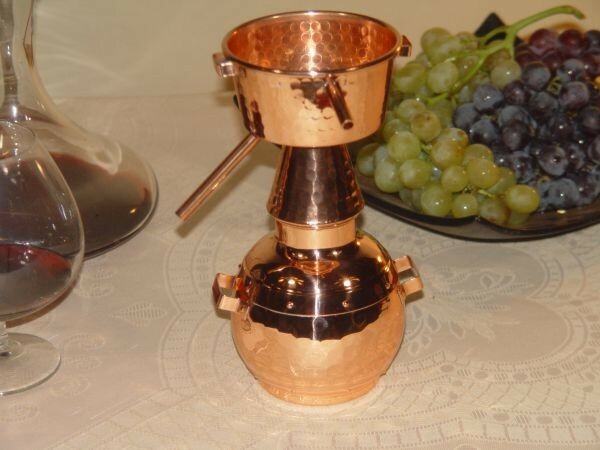 Even Leonardo da Vinci distilled successfully with stills constructed like this..
A particularly lovely and decorative model and display item, naturally made of genuine copper. 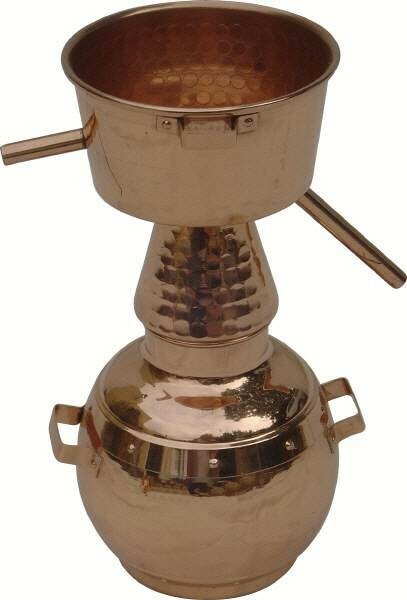 But if you really want to distil, we recommend the model of the identical construction, but reworked to include a spirit burner.